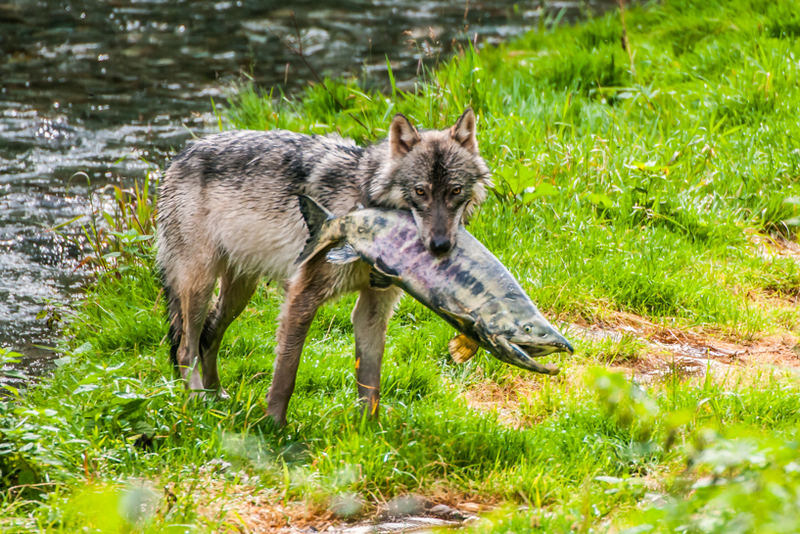 A wild wolf carries a huge chum salmon it just caught along Fish Creek in Tongass National Forest, Alaska. Very rare image! Appeared in Alaska Magazine’s 2016 annual calendar.